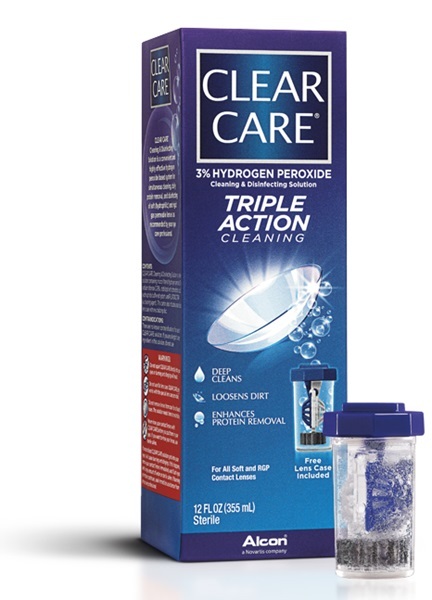 Clear Care Triple Action Contact Lens Solution, 12 oz. 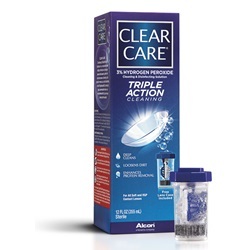 Sterile Clean Care Triple Action cleaning and disinfecting contact lens solution in 12 oz. bottle. Comes with lens case that uses bubbles to clean lenses overnight. For use with soft contact lenses. NDC: 00065-0358-20. Manufactured by Alcon. Comes as singles.